Unbound Commerce today released data from its annual Index Report covering year-over-year same store mobile commerce growth for the Holiday Shopping weekend. Only same stores with mobile sites operating continuously are counted, and 350+ retailers are covered by the index. In 2015, the 4 day Black Friday through Cyber Monday period saw a same-store, aggregate increase in mobile commerce revenue of 99.70%, as compared to the same weekend last year. Last Monday, it was Austin buying Boston, as Dell announced its $67 billion acquisition of EMC Corp. This week, it’s Boston buying Austin, in a deal that will create a 25-employee megacorp focused on mobile commerce. Calendars.com launched a new version of their mobile commerce site that allows mobile users to browse, shop, and check out, via the best possible mobile consumer experience. The new site is re-designed specifically for the ever-increasing percentage of consumers accessing Calendars.com via mobile devices. Powerful features are integrated into the new mobile site, extending and leveraging Calendars.com’s current ecommerce infrastructure into the mobile space. Across a broad same-store index of over 350 mobile commerce sites, year-over-year aggregate mobile revenue increased a very healthy 51.57%, in the second quarter of this year, as compared to the same quarterly period in 2014. For context, according to HIS Global Insights, US retail ecommerce business grew just 14.5% in Q1 2015, as compared to the year previously. Unbound Commerce today announced the launch of a new, dedicated mobile commerce site for leading restaurant supplier Restaurant Equippers. Restaurant Equippers is one of the largest equipment and supply businesses in the industry, providing fast and trusted service to a growing legion of hundreds of thousands of loyal food service operators. The new mobile site allows mobile site visitors to shop for and purchase products via a new interface, custom-built to deliver the best-possible mobile consumer experience, and maximum conversion rate. 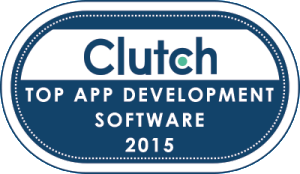 We’re proud to have been named as a market leader by Clutch in their just released Top App Development Software research report. You can check the report out here. Read Clutch’s press release. Thanks Clutch, and thanks to Apptive’s great customers! World Jewels, a leading online provider of jewelry and gems, today announced the launch of a new, dedicated mobile commerce site. Loaded with features, including customization options, the new mobile commerce site is custom-designed from the ground up, to deliver the same jewelry-building features and functionality that makes the standard World Jewels website so powerful, all in a mobile-specific package. Rockport recently launched a redesigned mobile site, helping to fuel a dramatic increase in mobile commerce revenue, transactions, and average order volume over the big Holiday Shopping weekend. The new mobile commerce site was designed to eliminate friction and provide a better experience for the mobile consumer, incorporating a number of new features and interaction flows, purpose-built for the mobile channel. Leading mobile commerce solution provider Unbound Commerce today announced the launch of the mobile and tablet commerce sites for FLOR, the carpet design squares company that allows for the creation of inspired living space through a unique rug, runners and wall-to-wall designs. In the two months since launch, FLOR’s mobile conversions from online shopping have increased 102% while traffic increased 15%, representing a high demand to deliver an easy, user-friendly carpet shopping experience for consumers on the move. With a network of 21 stores across the U.S., the mobile site also allows customers to more easily locate a FLOR store in their area. Third quarter mobile commerce revenue generated from dedicated mobile commerce sites built and deployed by leading solution provider Unbound Commerce jumped 101.77%, for a same-store index of 350+ retailers, as compared to the same period in 2013. Interestingly the number of unique users grew 39.33% during this same period, indicating that consumers are returning to mobile sites and buying more each visit, in a shorter amount of time.